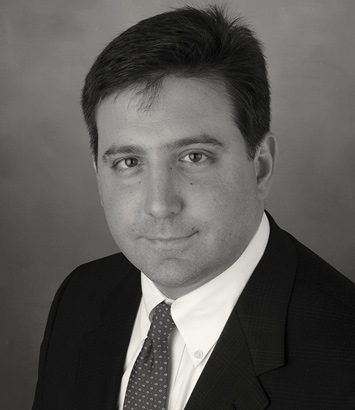 Alex Triantafilou is a litigation lawyer in Dinsmore's Cincinnati office. Alex has extensive experience in a wide range of litigation matters. As a former judge of the Hamilton County Court of Common Pleas and the Hamilton County Municipal Court, he brings the unique perspective of a former jurist to his litigation practice. During his time as a judge, he handled thousands of cases across the legal spectrum including having taken part in deciding two capital death penalty cases and having overseen several mass tort and class action cases. Alex continues to serve in a judicial capacity in his role as the magistrate in the City of Harrison Mayor's Court. In his current law practice, he handles a variety of business and contractual disputes and has extensive experience in the criminal practice. A practicing lawyer since 1996, Alex spent several years in the Hamilton County Prosecutor's office prosecuting thousands of criminal cases. Before taking the bench, he also managed a large county office as administrator of the Hamilton County Clerk of Court's office, where he led a staff of over 320 employees. Alex was appointed then won election to the Hamilton County Municipal Court in 2005. He was named to the Hamilton County Court of Common Pleas in 2006, where he served until resigning to join Dinsmore. In his role as chairman of the Hamilton County Republican Party, Alex has an extensive network of relationships throughout the legal and business communities.